Mo d’ Amour Begins Journey to Oaks in Busher: Under a perfectly timed ground-saving trip from jockey Chris DeCarlo, King of Prussia Stable’s Mo d’ Amour bested six 3-year-old fillies to earn 50 Kentucky Oaks qualifying points in capturing the 37th running of the $125,000 Busher on Saturday at Aqueduct Racetrack. 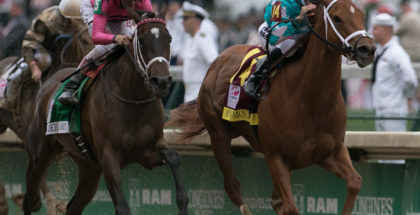 Breaking from post position 5, DeCarlo was able to guide the Todd Pletcher-trained filly and daughter of Uncle Mo away from Dreams to Reality, who veered out at the start, and comfortably settle her in third position along the rail into the first turn behind Whistling Straits, who set fractions of 24.78 seconds for the opening quarter-mile and 49.51 for the half. As the field hit the top of the stretch, Whistling Straits began to weaken and Mo d’Amour tipped out from the rail and engaged 6-5 post time favorite Katniss the Victor. 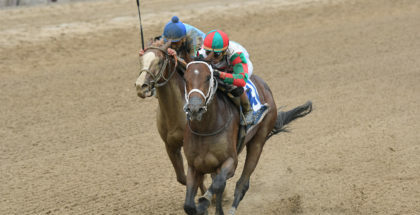 She edged past the favorite and held off a strong late charge from Dreams to Reality, who moved from four-wide in the stretch to earn the victory by two lengths. She completed the 1 1/16 miles in a final time of 1:47.37. 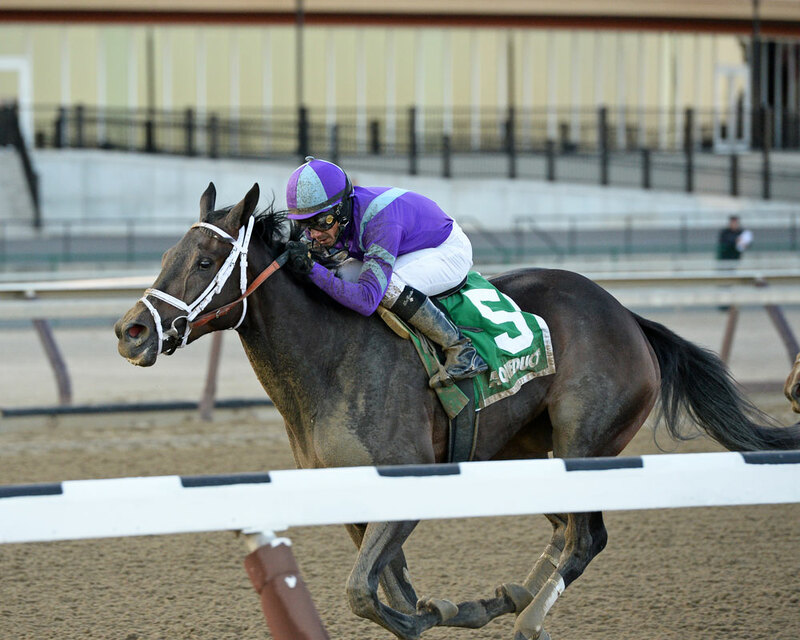 Returning $10 for a $2 win wager, the victory, her third from five lifetime starts, gave Mo’d Amour her first career stakes win and boosted her career earnings to $147,940 for owners King of Prussia Stable. Ed Stanco, principal owner of King of Prussia Stable, who previously made a successful and winning Kentucky Oaks journey through New York with Princess of Sylmar in 2013, was cautiously optimistic on Mo d’ Amour being able to complete the same journey. Following Dreams to Reality were Katniss the Victor, Flora Dora, Lost Raven, Whistling Straights and Arch Or Nothing.